I love when students are motivated enough to work outside of Art class and bring ideas with them. 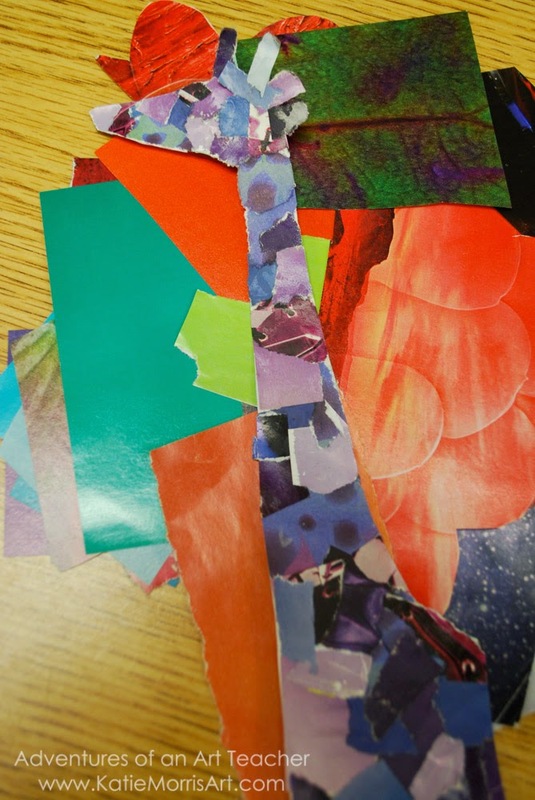 One of my 6th graders came in with the start of a giraffe collage and cool papers she'd snipped out of magazines. I hope she remembers to bring it back to show me the finished artwork! How cool is her start? Very Cool! Love the shapes, colors and textures.